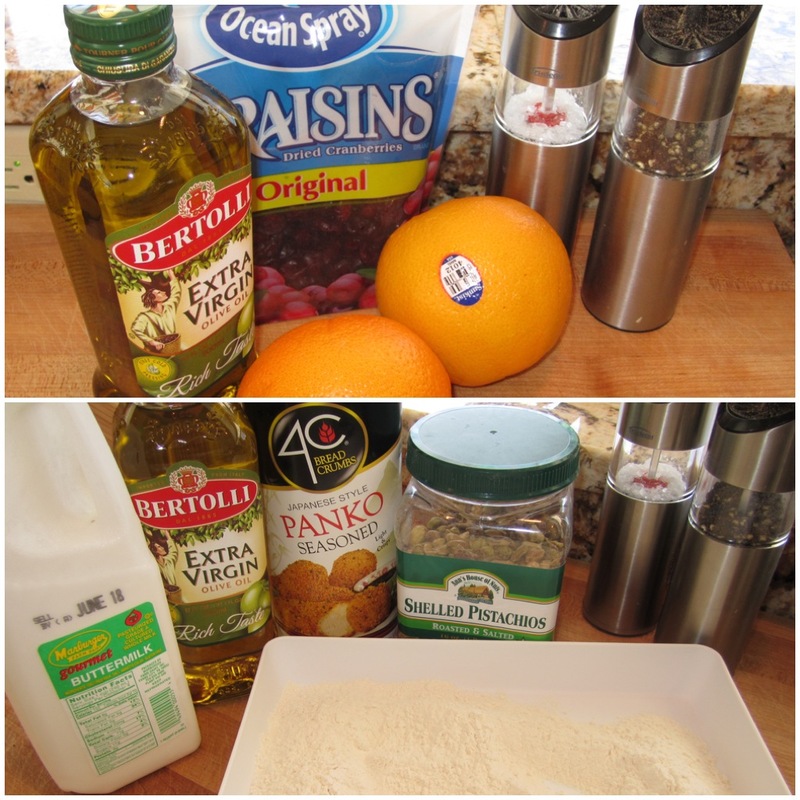 whisk the olive oil into the cranberry/orange mixture until well blended. Season well with salt and pepper. Set aside until ready to serve. Salt & pepper chicken breast. Soak chicken breast in buttermilk for at least one hour. Preheat oven to 170 degrees. Prepare three bowls — one containing just enough flour to coat chicken breast, another containing the eggs and Dijon mustard, and the third containing a mixture of equal parts crushed pistachios and Panko crumbs and parmesan cheese. Take chicken out of buttermilk and lay out on foil or wax paper. Salt and pepper the chicken breast on both sides and then coat in flour. Shake off excess flour, and then dip in eggs/Dijon mustard mixture and then into thePanko/pistachio crumbs (you most likely will not need to use all of it). Heat olive oil in nonstick frying pan over medium heat, and fry breast for approximately 4 minutes on both sides or until the chicken is nicely browned. 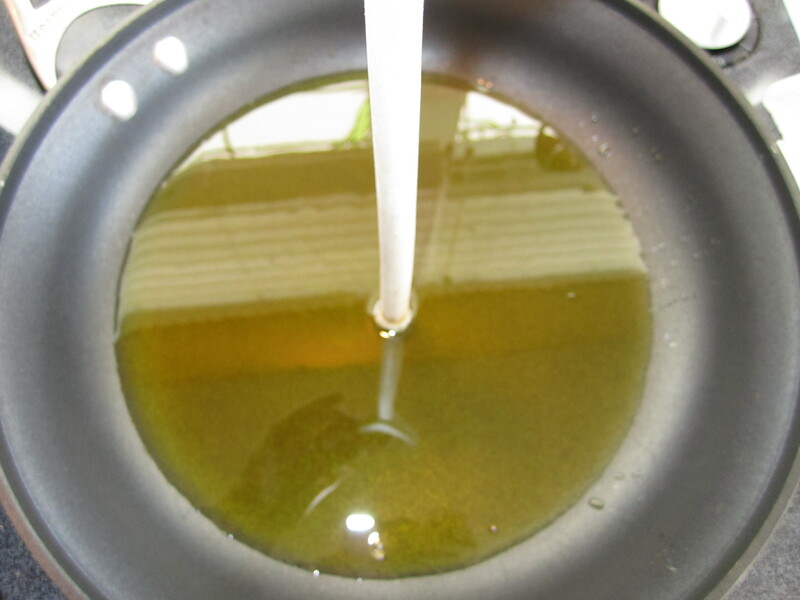 (Note: Oil is ready for frying with you place the handle of a wooden spoon in the oil and you see tiny bubbles.) Transfer breast an oven proof pan, place in the oven (170 degrees) to keep warm while you make the salad. Arrange spinach evenly on 6 large plates. 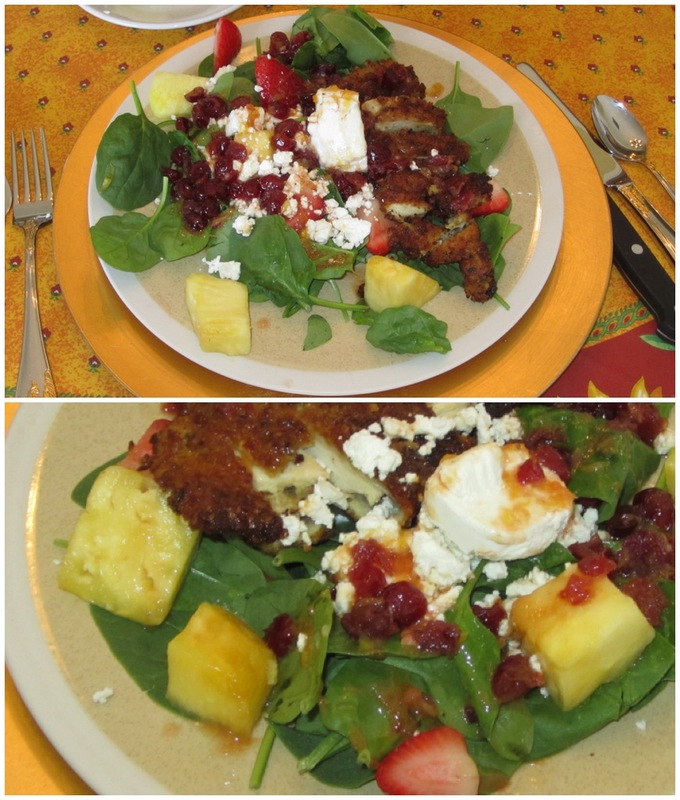 Spread cut strawberries and chunks of pineapple around on top of the spinach. 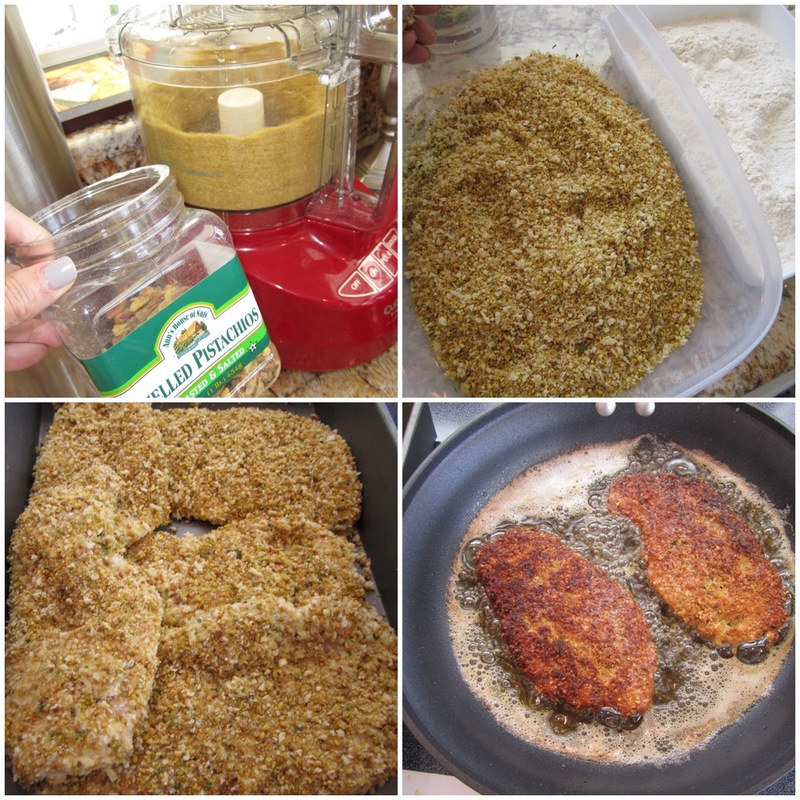 When ready to serve, take the Pistachio chicken breast out of the oven and slice each breast in strips. Place chicken on top of the salad. Drizzle cranberry/orange salad dressing on top. Top with chopped walnuts, Feta Cheese and a tablespoon of goat cheese. Isn’t this a cute way of displaying crackers, etc. You can even serve stick vegetables in it. I bought it at Sur La Table. 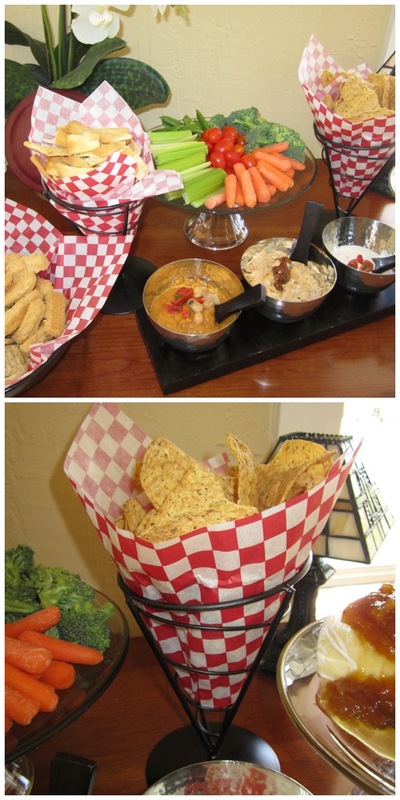 This entry was posted in ENTREES and tagged baby spinach, chicken breast, entree, feta cheese, GOAT CHEESE, lunch, PINEAPPLE, Pistachio chicken, pistachio crusted chicken breast, SALAD, summer salad. Bookmark the permalink.